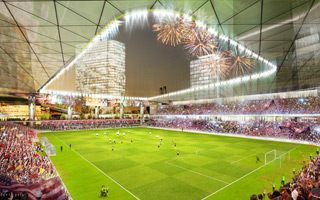 On Wednesday Wayne County received two final construction proposals to choose from as it looks to either complete its stalled Downtown Detroit jail project or build a criminal justice complex elsewhere to make room for a soccer stadium downtown. 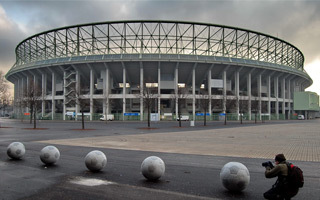 Ernst-Happel-Stadion isn't viable in the long term, a brand new national stadium should be erected instead. But the current one is a listed monument, which may be a major issue. They will raise capacity by 12,000 or even 14,000 people. A lot for a third league club, right? But this stadium's history was always supposed to end that way. 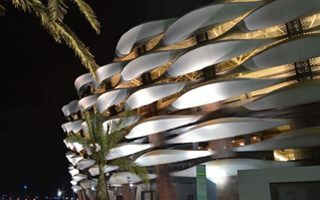 It's not the first sports venue to be powered by geothermal energy but the first large stadium to supply its surroundings with this renewable form of power. Perhaps already in 2020. 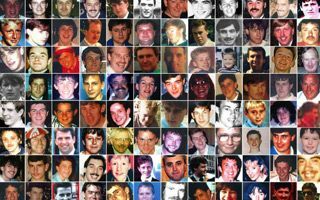 Manslaughter, negligence, perverting the course of justice and abuse of trust in public office are the most crucial criminal charges facing those allegedly responsible for Hillsborough. 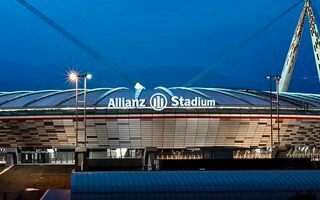 It's a tense time in Cologne, where the future of RheinEnergie Stadion is subject to political browls. SPD is criticising the mayor for not having a solid strategy for the future of Cologne's largest stadium. 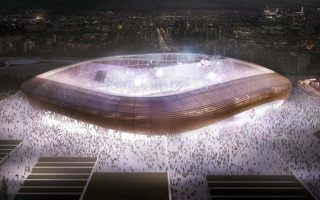 Sudden announcement that Fiorentina is for sale sparked controversy and begs the question: what about the owners' stadium plan? It might be off the table. 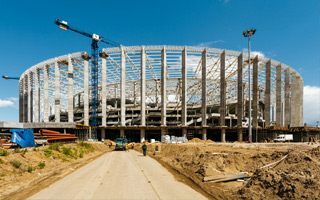 With less than a year left before the Russian World Cup, authorities in Nizhny Novgorod decided to employ 500 more workers at the stadium construction site. Otherwise it might be late or of insufficient quality. 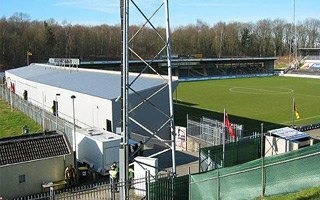 27.06.2017 StadiumDB Newsletter: Issue 15 is out, find it here! 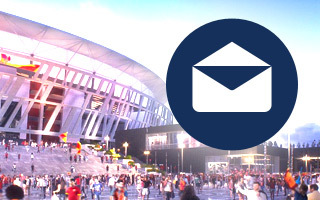 Worried about missing our stadium news? Here's the past week in a 300-word summary. As briefly as we can, so check it out and make sure to subscribe if you wish to have it directly in your mailbox! 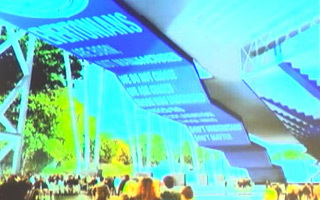 Not only very complex itself, the new Spurs' stadium roof will also offer a 'skywalk' to fans and have a restaurant suspended under it. All these features should be ready in early 2018. 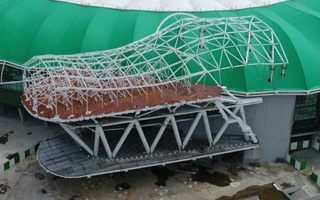 Ahead of their 95th anniversary, Lokomotiv Moscow decided to modernise the stadium in Cherkizovo. Supporters can thus tak some of the old seats home with them. 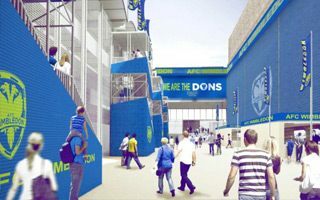 AFC Wimbledon has received significant news in their Plough Lane return campaign, with The Secretary of State deciding not to list Wimbledon greyhound stadium. This opens up demolition and construction of a new one. 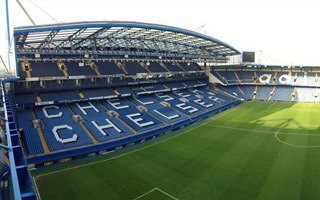 Stamford Bridge is iconic and it will dominate the club’s annals for many years to come but it has had its day. 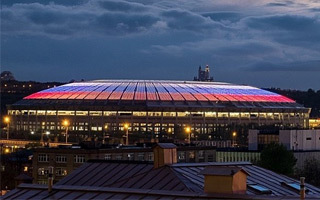 Nowadays, elite European sides have the best facilities in the industry and Chelsea must move with the times. 22.06.2017 Southend: Hotel and two apartment blocks in one grandstand! 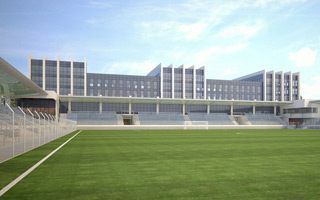 Although reduced and somewhat modest, the new iteration of Southen United's stadium continues to amaze. 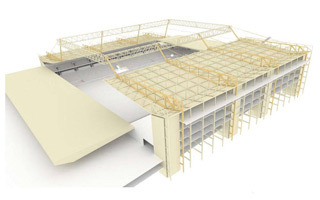 Over 500 people could live above the north stand at any given time! Luton Town CEO assures fans he won't give up on the project. 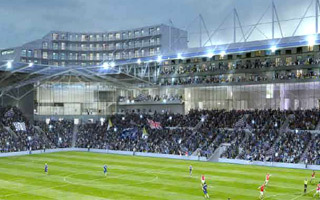 However, Power Court stadium now faces opposition from Capital & Regional and the fight won't be a walk in the park. With 75% of MLS now already playing at "soccer specific" stadiums, it's high time for DC United to join the pack. After all, they helped create the league and have a poor record at RFK Stadium this season. 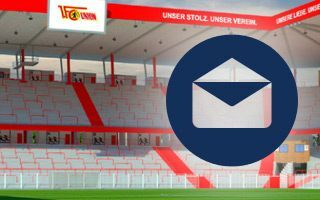 To celebrate their historic stadium's century in operation, Union Berlin plan to massively expand its capacity and retain the stunning percentage of 78% standing places! 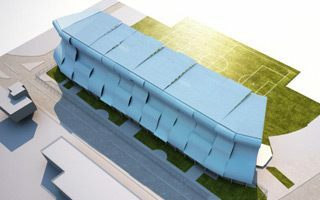 Not much can be clearly seen from these images but Everton's stadium is already exciting, following Dan Meis' presentation in USA. 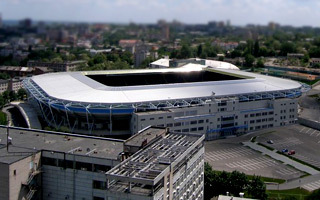 The stadium and training center of FC Dnipro Dnipropetrovsk will be auctioned publicly in what may be the final months of the 99-year-old club. Recently in Europa League final, now struggling to survive. 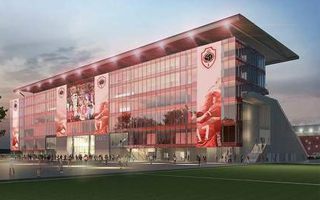 Confederations Cup, Poland's delayed giant almost ready, two projects going forward in Italy, a brand new design from Cincinnati. All that happened last week. Here's how you can get weekly updates from StadiumDB! Premier League promotion isn't the only thing going on in Huddersfield this year. 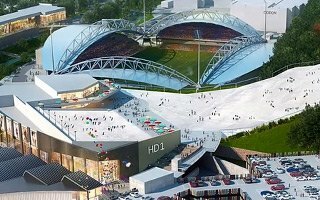 A massive leisure complex is expected to encircle John Smith's Stadium by 2020, including a modern ski slope. Exactly two months from now the first Premier League game will be held at the revamped bet365 Stadium. This week delivery of 17,000 new seats begins. 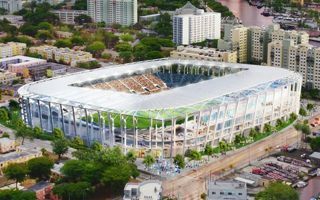 With soccer in North America booming, Beckham's hopes of finally being able to bring an MLS franchise to South Florida have overcome what had been seen as a big hurdle. 16.06.2017 Chelsea Leaving Stamford Bridge: Good or Bad for the Blues? 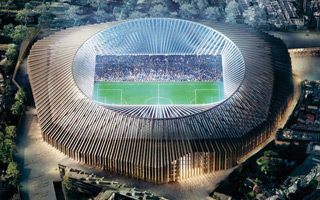 Stamford Bridge is a legendary stadium by every standard and even after reconstruction its field won't be moved from its historical site. But everything else will change. 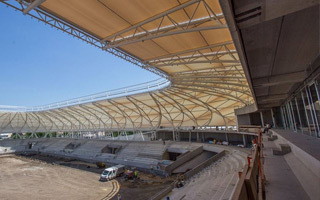 15.06.2017 Venice: New 25,000-seater for Venezia FC? 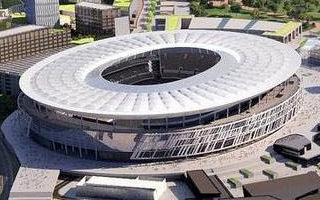 Roma's new stadium has been ruled in the public interest on Wednesday, with 28 votes in favour and 9 against. This means planning can progress. 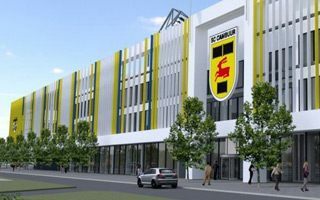 The Hungarian city of Szombathely will soon get a brand new stadium with an indoor arena. It's another attractive and rational project by the Hungarian government. This unique project from Turkish Izmir is just one more step away from construction. 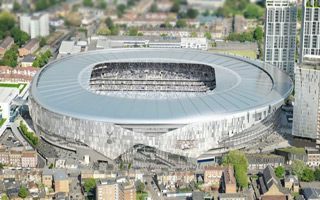 With the best offer selected, we may be just over 700 days from seeing the first stadium with a green park on its roof. 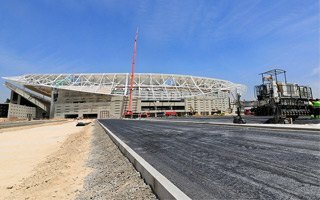 Urbanisation of the land around and access to Wanda Metropolitano will consume €65 million, of which most likely majority will be covered by Atletico, according to Marca.com. After years of delay it finally looks almost complete. 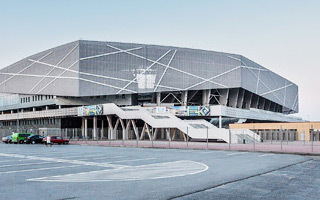 In just over a month the Silesian giant in Chorzów will be delivered, ending the 8-year torment of reconsturction. 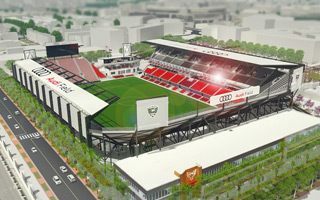 This concept is expected to guarantee a spot for FC Cincinnati among the next MLS epxansion teams. 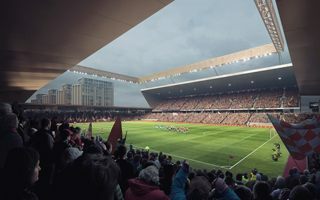 The 25,000-seater with stunning view does look well indeed! 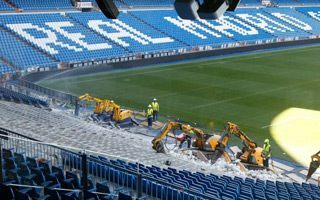 In mid-August the new supporters' area at Santiago Bernabeu is expected to be ready. The effort to boost atmosphere still seems very modest by international comparison. 12.06.2017 Turkey: Wedding in a crocodile's mouth, anyone? Is it cool or just too much? Either way the giant crocodile head in Bursa is gradually moving towards completion. We should see its final shape by the end of June. 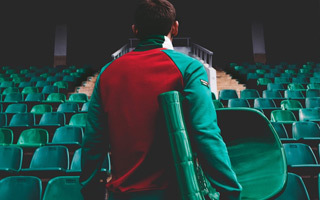 Celebrating another victory from the Polish national team last night (not something we're used to), we've just added three more stadia from Poland, courtesy of photo authors Kornel Lewandowski and Sebastian Spychała. 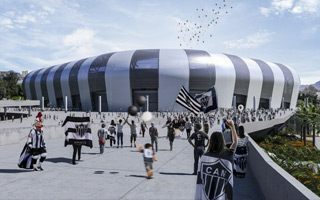 With the stadium's final version finally on display, Atletico Mineiro are closer to their long-standing dream of moving to a private home. 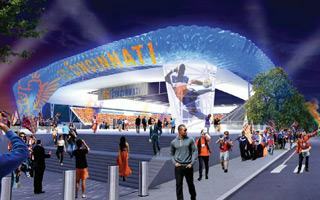 Groundbreaking is expected in 2018. The deal being extended to 2033 isn't even the big news here. 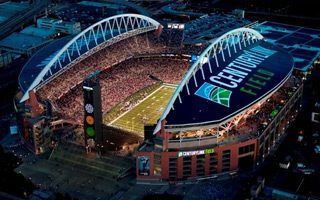 Rather the fact that CenturyLink will pay double the price for new naming rights deal. 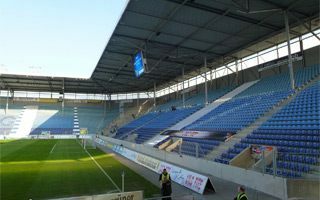 The city council decided to run a major reconstruction of MDDC-Arena in order to allow supporters to jump in the stands safely. In response the fans announced they will cofinance the project. Operator of nearby shopping centre launched an unexpected campaign against the planned Luton Town stadium Power Court. Luton's supporters decided to hit back and not without merit! 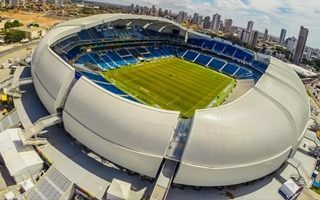 As arrests were made on Tuesday in relation to Arena das Dunas corruption case, the stadium becomes already the 7th to be part of a nationwide scandal. 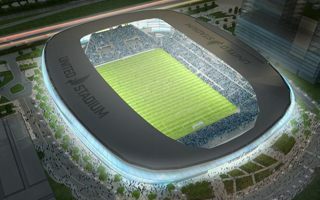 It seemed realistic to expect the MLS stadium ready during the 2018 season but now Minnesota United admit it's no longer a viable delivery date. David Beckham on Tuesday finally secured land to build a soccer stadium in Miami, after county commissioners approved selling him three acres for $9 million. 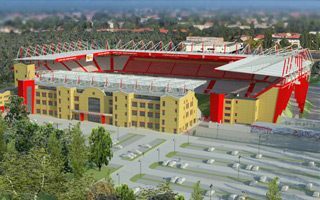 As Royal Antwerp prepare to play again in the top tier, their stadium will get a brand new main grandstand. Most interestingly, it's expected to be ready within just 3 months! 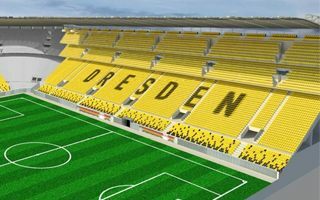 If they really build it, Dynamo Dresden will enjoy one of Europe's steepest stadiums if not the single steepest one. 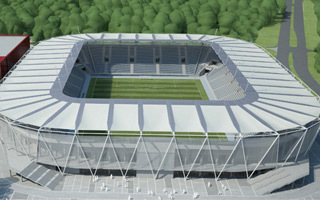 Once it's safe to move forward, DDV-Stadion will gain over 40% in capacity. They haven't had a mega event like this for years. Stadium sold out, extatic crowds. Who would have thought it was only a friendly game against Jordan? 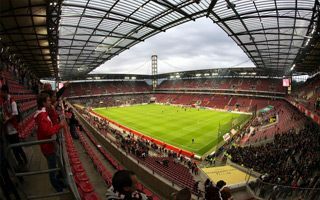 02.06.2017 Cologne: Megastadium for FC Köln and the Olympics? 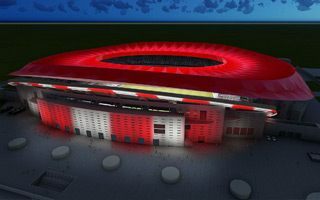 As of now there were two options on the table: expansion of RheinEnergie Stadion or construction of a brand new one. Now a third one has surfaced: creating a megastadium for other events, too. Just 2 weeks before planned groundbreaking the project had been put on hold and is still yet to start. Now the general contractor sheds new light on reasons behind the decision.